Bihar is the third largest state by population and twelfth largest state in terms of geographical size. The name Bihar is derived from the word “vihara” meaning monastery. Bihar was a great religious centre for Jains, Hindus and most, importantly Buddhists. It was at Bodh Gaya that Lord Buddha attained enlightenment. It is here also that Lord Mahavira, the founder of another great religion, Jainism, was born and attained nirvana. The state of Bihar is bordered by Uttar Pradesh to its west, Nepal to the north, northern part of West Bengal to the east and Jharkhand to the south. 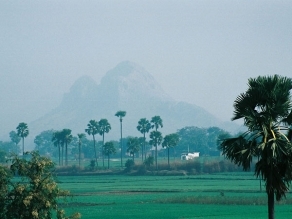 Bihar Tourism offers areas of natural beauty, such as lakes, waterfalls and hot springs. Bihar was a centre of power, learning and culture in ancient and classical India. Close to Patna, the capital city of Bihar, Nalanda and Vikramshila were the centres of learning established in the 5th and 8th centuries respectively and are counted amongst the oldest and truly international universities of the time. Bihar is one of the most sacred places for various religions like Hinduism, Buddhism, Jainism, Sikhism and Islam. Mahabodhi Temple, a Buddhist shrine and UNESCO World Heritage Site is also situated in Bihar. Mahatma Gandhi Setu, Patna, was considered as one of the longest river bridges in the world in early 1980s. The city of Patna and Rajgir are considered as two historical cities of Bihar. Bihar was a great religious centre for Jains, Hindus and most, importantly Buddhists. It was at Bodh Gaya that Lord Buddha attained enlightenment. Nearby Nalanda, was a world famous Buddhist university in the 5th century AD, while Rajgir was associated with both the Buddha and Jain apostle, Mahavira. It was here that Lord Mahavira, the founder of another great religion, Jainism, was born and attained nirvana. Bodh Gaya is an excellent place to visit if one wants to study Buddhism and Rajgir, Sasaram and especially Nalanda are some of the most fascinating places one will find off the usual tourist trail. 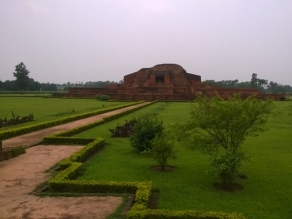 Bihar remained an important place of culture and education for many years. The Gupta Empire that originated from Magadha in 240 AD is referred to as the Golden Age of India in science, mathematics, astronomy, commerce, religion and Indian philosophy. 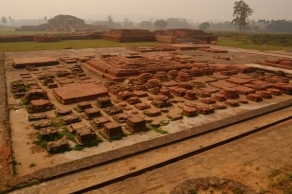 The Vikramshila and Nalanda universities were among the oldest and best centres of education in ancient India. Some writers believe the period between 400 AD and 1,000 AD saw gains by Hinduism at the expense of Buddhism.The Hindu kings gave many grants to the Buddhist monks for building Brahmaviharas. The variety of cuisines in Bihar forms a vital part of Bihar tourism. Bihari cuisine is predominantly vegetarian because the traditional Bihar society, influenced by Buddhist and Hindu values of non-violence, did not eat eggs, chicken, fish and other animal products. However, there are also numerous Bihari meat dishes with chicken and mutton being the most common. Some dishes which Bihar is famous for, include sattu paratha, which are parathas stuffed with fried chickpea flour and chokha, a spicy mashed potatoes delicacy. Chhath, an ancient and important festival in Bihar, is celebrated twice a year: once in the summers, called the Chaiti Chhath and once around a week after Deepawali, called the Kartik Chhath. Chhath is the worship of the Sun God. The ritual bathing and worship of the Sun God takes place and is performed twice: once in the evening and once at the crack of the dawn, usually on the banks of a flowing river or a common large water body. Apart from Chhath, all major festivals of India are celebrated in Bihar, such as Makar Sankranti, Saraswati Puja and Holi, and they are celebrated with great grandeur. The Sonepur Cattle Fair is a month-long event starting approximately half a month after Deepawali and is considered the largest cattle fair in Asia. It is held on the banks of the Gandak river in the town of Sonepur.